With Thousands of scripting languages, applications, funding models, and infrastructures, virtual machine templates for designing and deploying multi-tire application stacks are rarely available. Commoditization of the application practice along with the design and delivery process through cloud-based service delivery to offer application developers and consumers with speed, flexibility, and efficiency that is desired to deploy multiple tire application across a hybrid cloud environment is needed. So a cloud solution that moves beyond IaaS to more of an application centric cloud delivery model is required. The changing market demands an innovative architecture that radically optimizes, simplifies, and accelerates the entire application deployment lifecycle. Cloud has become the central enabler and delivery mechanism that has been fueling modern applications including mobile application, social networking, big data, API and more. In this new competitive landscape, where a lot of players are delivering a similar offering it is necessary to provide an application-centric cloud service. The old applications are being scaled up to a more secure environment. To deliver application-centric service, the staff operations and technologies need to be aligned and along with this the simplicity at the user end needs to be maintained. The application-centric cloud integration needs to be highly secure for its integration to work. The communication protocols and application types need to be synchronized. The cloud technology today tend to be built on a loose couples, interconnected components and the hybrid nature relies on the external cloud provider completely. The core objective of the Cloud Service provider (CSP) to deliver an application-centric cloud service will be to build a team that can thrive amidst the complexities, application economy and to provides speedy & innovative execution of the business. Today the cloud-based developers are being empowered to build more powerful applications that provide consistent predictable behavior. The major strain to adapt the application-centric cloud is being faced with a colossal application as they need to be decomposed into services within a cloud. So by architecting an application-centric cloud, these requirements will be met. This feature will enable the self-service interface that is easy to use and will put the user in control. It ensures continuous delivery and CSP can help customers deliver a more innovative application. With the adaptation of quick delivery, the level of service will go up and the delivery will become continuous and easy. The performance in the cloud will become more distributed & composite and due to the decrease in interdependency, the product can be delivered in time. CSP will help customers to gain central management along with established strong, centralized and auditable control and access of their own privileged users along with control over APIs so that they can permit innovation. With the development of this architecture the dramatic fluctuation of demands can be handled by the virtualized testing service, reduced demand for lab resources, support large and more geographically dispersed user base, admiratives standardization and automation of operation area and will bring elasticity of IaaS offering. There is a clear linkage between IT and business performance and organizations need business intelligence to reflect these realities. With comprehensive visibility, business leadership, and ideas one can optimize, execute and gain insight about the integration of application-centric cloud. To maximize limits and customer expediency, these services should accommodate fast, flexible deployment and point-and-click configuration. 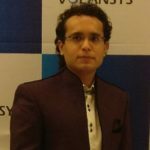 VOLANSYS helps to improve business performance with the strategic implementation of pure cloud-based business software. Our deep knowledge of the technology along with our ability to dynamically scale your infrastructure as per your future business needs have made us capable of providing our customers with a tailor-fit solution. Have a question? We can find you the right solutions.To know more drop us a mail at [email protected] or call us at +1 510 358 4310. Neet Bhagat works as a Tech Lead. He contributed to design, development & validation of cloud & software solutions as Full Stack developer. He worked on AR/VR solutions, enterprise mobile solutions and automated QA of cloud solutions as well. Neet is highly motivated and energetic professional, dedicated to understanding and meeting clients’ needs.